Whenever people are feeling down or having a bad day, one of the things they often do to lift their spirits is to listen to their favorite music. Indeed, music possesses a therapeutic quality—regardless of the musical style or genre—that helps people break out of their funk and become more self-assured versions of themselves. When a song is able to create strong emotions deep inside of you, then it means that the artist has successfully achieved what he or she has set out to do upon releasing the finished recording. Music, therefore, is a shared universal language where people are able to commune with one another and surmount the barriers that come with merely speaking words in one’s native tongue. Female musicians in particular have this uncanny capacity to summon stories within their work that is markedly different from the output produced by male musicians. Women are unafraid to wear their hearts upon their sleeves and share their experiences to listeners, thereby giving them opportunities to be more adventurous and innovative with their songwriting. Even when they run the gamut of human emotions, there is no subject that a female artist will shy away from in the name of empowering other women through their music. Continuing from the previous post that featured a well-curated collection of musical treasures, here are more perfect examples of modern-day female empowerment anthems that you should listen to while celebrating this year’s International Women’s Day. English poet Rudyard Kipling once stated that “East is East and West is West, and never the twain shall meet”. However, this is most certainly not the case when it comes to innovative musicians seeking new sounds in the music industry. Thus, the mainstream and avant-garde does indeed collide with unrepentant defiance in this exceptionally stunning track by Icelandic singer-songwriter Björk from her seminal third album. The song fuses dramatic orchestral string arrangements with bombastic electronica flourishes, as well as showcasing tremendously vivid and emotionally charged metaphorical lyrics. Björk has perhaps created a haunting yet perfectly accessible forward-thinking ballad for single women everywhere who are in the throes of a complex relationship with men. Listen to the song here. When women inspire other women to do great things in life, then that definitely counts as a win for feminism and the ideals of positive female empowerment. Such was the case with Scottish singer-songwriter KT Tunstall when she released this single off her debut album. Tunstall has stated that the lyrics of the song were directly inspired by legendary American musician, Patti Smith, whom Tunstall has long admired due to her strength and accomplishments. There’s definitely no doubting Tunstall’s words considering that the upbeat and guitar-driven track does indeed follow the musings of an optimistic protagonist realizing what she wants to do in life after being inspired by a woman with both inner and outer beauty. Listen to the song here. 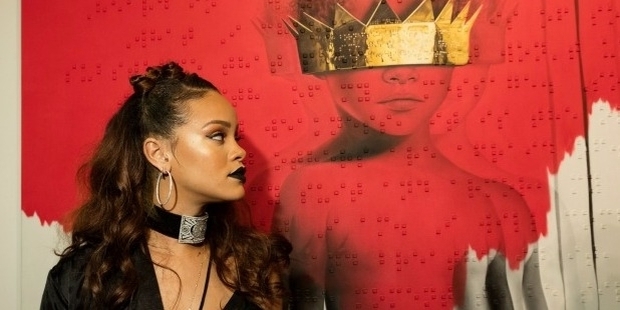 Love her or hate her, one can never accuse Rihanna of not being able to deliver the goods when it comes to her musical output. This sassy Barbadian beauty has proven herself to be one of the industry’s most prolific artists in modern times, with each successive release showcasing a gradual evolution to her work. 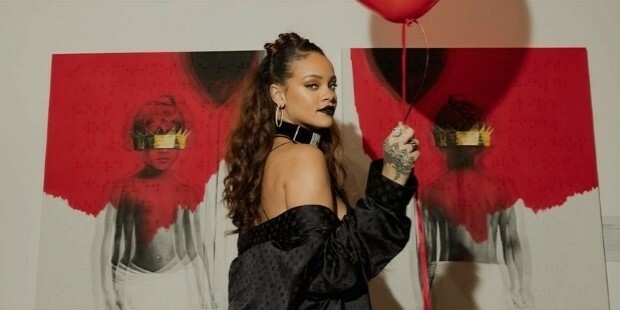 While most of Rihanna’s songs are in the vein of pop and R&B with lyrics pertaining to either romance or partying, she does manage to surprise in a good way when she’s able to unveil a track that possesses a surprising lyrical depth. This was definitely the case of the latter when she released a promotional single for the soundtrack to the animated film, Home, where she also stars as a voice-over talent. This song is truly celestial and deserves multiple listens in order to fully absorb the genuinely inspirational nature of the track. Listen to the song here. There really can be no better female bond than that between sisters because it perfectly encapsulates everything about friendship on a familial level. The music industry has had its fair share of sister acts and this amazing track from Disney Channel alums Aly + A.J. These two blond-haired American beauties have produced some radio-friendly pop rock tunes that certainly wouldn’t sound out of place in a school dance setting. But they certainly managed to make a bold impression with this song off their debut album, where the high-voltage alternative rock song encourages the listener to not let anyone dictate their choices in life and to “be every color that [they] are”. Listen to the song here. Modern women are not afraid to be candid about their sexuality and the point of feminism is that society should allow women to live their lives as they see fit without fear of judgment about their lifestyle choices. Oftentimes, there’s a double standard in the music business where male artists can freely sing about sexual issues like infidelity in relationships but when female artists do the same thing, they are criticized for it. 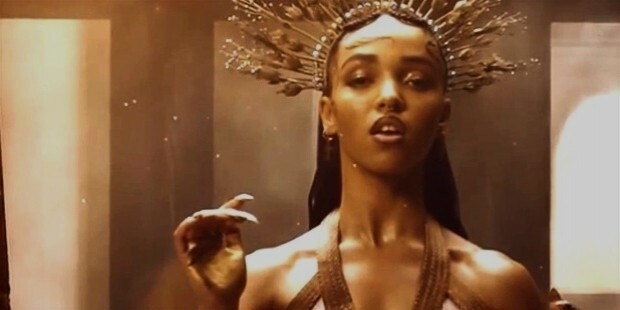 But in the case of FKA Twigs and her monumental breakout single, she has proven the naysayers wrong by creating a sinfully sensual slow jam that emboldens women to use their seductive powers of sexual persuasion to get the man they want to have in their love lives, even when that man is already taken by another girl. Listen to the song here. If there’s one thing that the Spice Girls have successfully introduced into the consciousness of pop culture at large aside from their undeniably catchy music, it’s their enduring endorsement of Girl Power, which directly correlates with the basic tenets of feminism. The slogan itself was truly inspirational at the time of the group’s breakout into pop music because it strongly appealed to a broad demographic of females, from young girls all the way to adult women. The point of the band consistently pushing Girl Power into the mainstream was that they wanted to emphasize the value of strong and loyal friendships between females. And there was definitely no better song that truly captured the essence of Girl Power than this iconic classic hit from the Spice Girls. Listen to the song here. Today’s generation may not have another Spice Girls to call their own, but British girl group Little Mix is perhaps the closest they can get to honoring the illustrious legacy of the mighty UK girl band that started it all. Composed of four young and talented girls from across various parts of England, Little Mix embodies the kind of close-knit squadron of girls that is the hallmark of what Girl Power and feminism means in modern times. The second single from their debut album is a prime example of the band’s dedication to empowering young girls and women everywhere to not let negative forces in life get the best of them. Featuring a stomping dance-pop beat with soaring harmonious vocals from the band members, the song does justice to the ethos of female empowerment. Listen to the song here. One wouldn’t necessarily associate heartbreak and betrayal with empowerment, but somehow Adele made it work to her advantage when she released the massive behemoth single from her sophomore album that immediately propelled her to global superstardom. The down-to-earth yet brutally candid British songstress virtually rewrote modern music history books with this track that perfectly blends elements of pop, blues, and soul music into nearly four gorgeous minutes of unfiltered emotional honesty. Like a phoenix rising from the ashes of a destroyed relationship, Adele has proven to everyone that it’s okay to be angry about the mistakes one makes in the name of love without losing that feeling of self-worth and self-confidence in the process. Listen to the song here. Of the many emotions that everyday women are often unwilling to share with others, it is perhaps fear that they aren’t exactly comfortable with discussing. But in the case of female musicians, especially the ones who are willing to lay their emotional cards out on the table, singing about their personal fears is something akin to achieving catharsis and ultimately giving them the confidence and freedom to be more open with their lives. Such was the case with Ellie Goulding when she released her hit single whose lyrics directly addressed her childhood fear of the dark. Best of all, the song beautifully illuminates with its scintillating electropop production and highlights Goulding’s ethereal and breathy soprano vocals that simultaneously trembles with emotionally juvenile vulnerability and a newfound sense of mature strength. Listen to the song here. There’s the stereotypical perception that men often fight with weapons while women are agents of peace who prefer to avoid conflict. Things are not that black and white in real life, particularly when men and women are in committed romantic relationships but are experiencing troubles with their intimacy. It’s a good thing that Korean-Australian singer Dami Im’s latest single release is a powerful message for women to fight for their right to keep the love alive. The song incorporates elements of EDM and pop music, where the sleek and modern sonic production perfectly compliments Im’s colossal vocal range. The overall message of hope and determination in the song is something that truly resonates on a universal level. Listen to the song here.